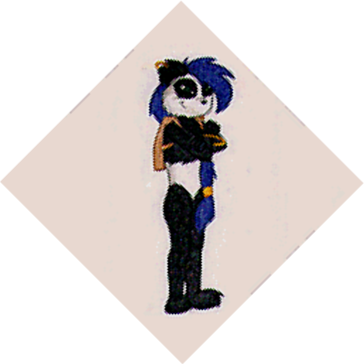 The name of this character has been discovered with the ROM IMAGE, Panda Squaresoft Mode 7 Demo (PD) showed up on an SuperNintendo Emulator. You can read more about this cartridge at SNES Central! Back in the mid 90s, Square set up a studio in Redmond, Washington, and produced the game Secret of Evermore. Keith and another person named Craig Bergman got to tour Squaresoft’s office as part of a high school job shadowing activity. While there, Squaresoft scanned and put two drawings made by Keith happened to have into a Mode 7 demo (the other had a caricature of Craig). Last updated by U64 Staff & Contributors at 27-10-2010 . 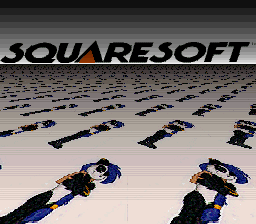 “Squaresoft” brand appeared in 1992! and was used until 2003. Note, Squaresoft Brand first “appeared” in 1992, they could’ve changed it after the release of Final Fantasy IV. Also the quality of it looks too good to be fake in my opinion. Um guys, my article clearly says this was made during the development of Secret of Evermore, which came out in 1995, when Squaresoft was the name of Square’s US division. This was featured on Game Sack’s homebrew & hacks episode!